Following previous successful operations with the RSPCA (see below, we provided Frontiersmen from City of London and Colour Squadron, Mounted Troop, Home Command and Welch Command for this operation. Asked at the last moment, we were able to assist with Bio Security, Traffic Management, Catering and other Services on an ad hoc basis, to the RSPCA, Police, Fire Brigade and various animal charities. Our previous experience with working with horses continues to make us a useful asset to the emergency services. 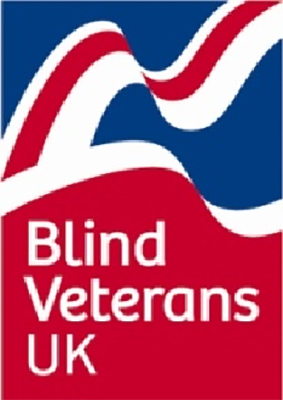 To raise funds for ex-servicemen who face blindness, Blind Veterans UK arrange this 100K walk/run from London to Brighton, this gruelling challenge is taken up by people from all walks of life, serving, ex-service and non service men and women all raising money for this great charity. The Legion of Frontiersmen provide first aid at the half way point, for both body and soul. With the use of the Ambulance we were able to transport more serious casualties to hospital if needed. Chingford Branch Royal British Legion Annual Armed Forces Day Parade and Fete required traffic marshalling and First Aid for the day, Frontiersmen provided a team of seven Frontiersmen to marshal the parade, and for the remainder of the day provide first aid cover. 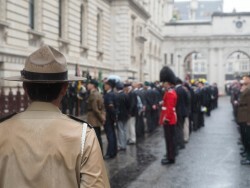 Every year the Combined Irish Regiments hold their annual remembrance day parade in Whitehall in front of the cenotaph, in 2015 they asked the Legion of Frontiersmen if they could provide first aid cover for this event. Having established a team of first aiders with the minimum qualification of “First aid at Work” and obtaining insurance for carrying out such duties the Frontiersmen have been able to provide this facility for a number of years now. In 2015 Savoy Ventures loaned us an ambulance for this duty, this year we were able to deploy with our own given to us by Savoy Ventures. In June, Savoy Ventures donated to the Frontiersmen an ambulance to assist them in their work both in supporting the government and to assist ex-servicemen with their parades by providing first aid cover at no cost to themselves, we cannot thank Savoy Ventures enough for their generosity and continued support. 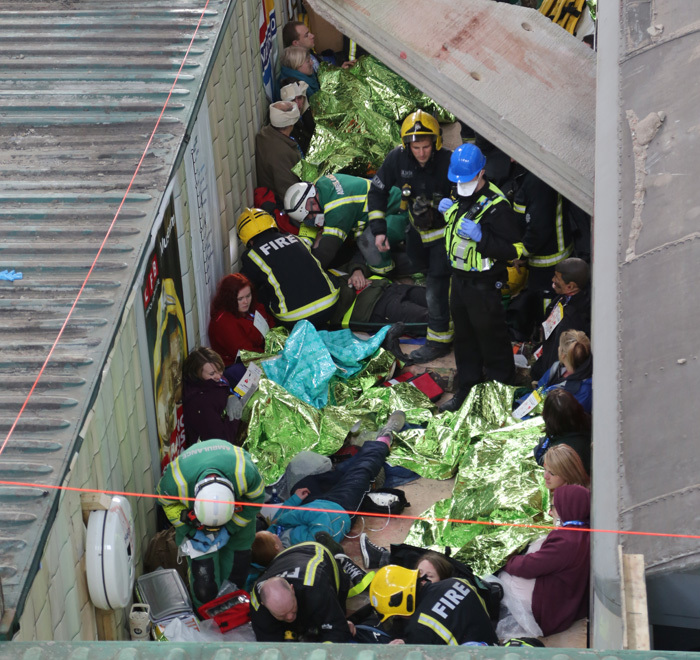 Frontiersmen assisted in the biggest exercise organised by the London Fire Brigade to test their response in the event of a major underground crash, Frontiersmen were to act as casualties being dressed and being made up to look like they were injured. The unit was held back on the exercise to be placed in the final carriage which had another on top of it and partly concealed by concrete. 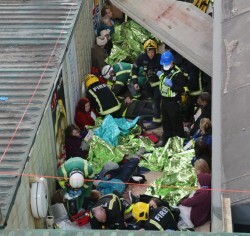 the fire service had to cut there way through the concrete and the roof of the tube carriage and extricate the passengers. We were then taken through triage and into the NHS system. 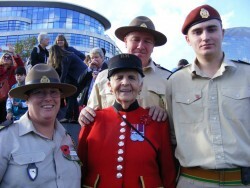 Every year the Frontiersmen carry out the security and traffic management at all of the gates of Shoreham Air Show, this year there was an horrific air crash with 11 fatalities, the Frontiersmen were within 500M of the crash, and having secured the gate provided first aid to the walking wounded who started to arrive. we provided two first aiders to the quickly established reception centre, and supported the emergency services throughout the remainder of the day. We also had 4780 cars to get off the site and having lost the main entrance/exit, we had to arrange a route across the airfield out of one of the crash gates. needless to say it was a long day, but throughout it all our thoughts were with those who would not go home and the families that would be waiting for them. After our operation in 2013, we were requested by the RSPCA to assist in the collection of both Equine and Bovine from a farm in the Bristol area. we were able to manage the vehicle movements, provide food and drink for all of the 50 staff on the operation throughout the day, and provide both physical and Bio-security to the site. It rained all day, but continuous tea, coffee and bacon sandwiches (with minor vegetarian option) the work was carried out as cheerfully as could be. 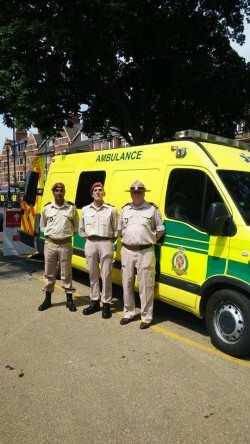 Chelsea Hospital – The City of London and Colour Squadron start their monthly duties and The Royal Hospital Chelsea, assisting in-pensioners that are less able to get out and about, and having a film show. It is hoped that this ongoing work will build relationships with the in-pensioners and individual Frontiersmen. The Nuts Challenge – Frontiersmen from the City of London and Colour Squadron assist in Marshalling, First Aid and Communications for what is described as the Hardest Assault Course in Britain, Over 7Km of obstacles. 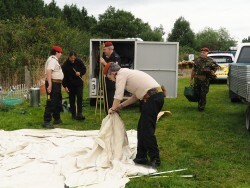 Camping on the Site, it was hard work, and very wet and muddy, but the donation received will assist in the purchase of equipment for the Squadron. what is described as the Hardest Assault Course in Britain, Over 7Km of obstacles. Camping on the Site, it was hard work, and very wet and muddy, but the donation received will assist in the purchase of equipment for the Squadron. Assistance to the Vale of Glamorgan Council – As well as our normal Ceremonial Duties as part of Remembrance, All units of UK Command deployed to assist the RSPCA, Police and the Vale of Glamorgan Council in what was the biggest rescue of horse the country has seen, with many of the horses being in such bad condition they had to be put down. 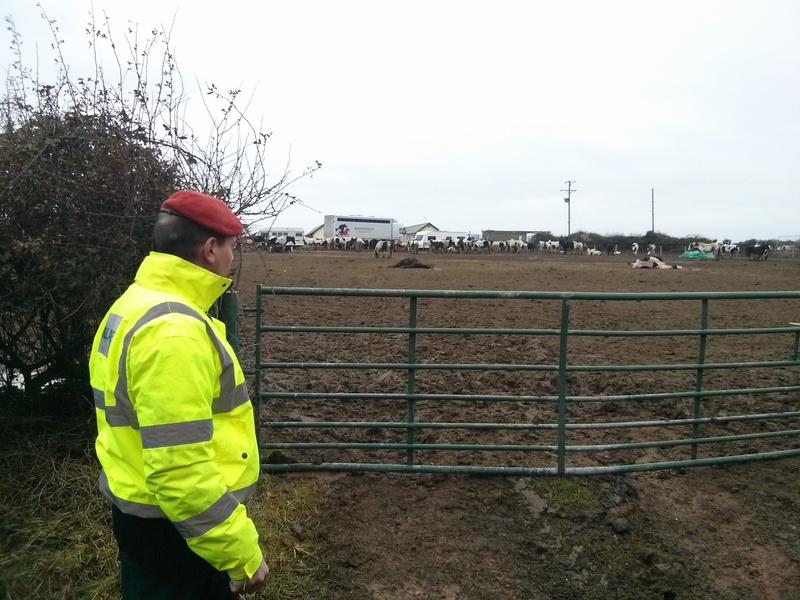 It was very emotional work and involved rounding up the horses for the vets to assess them, moving them onto transport, as well as providing teas and coffees to all the agencies involved and security during the night.